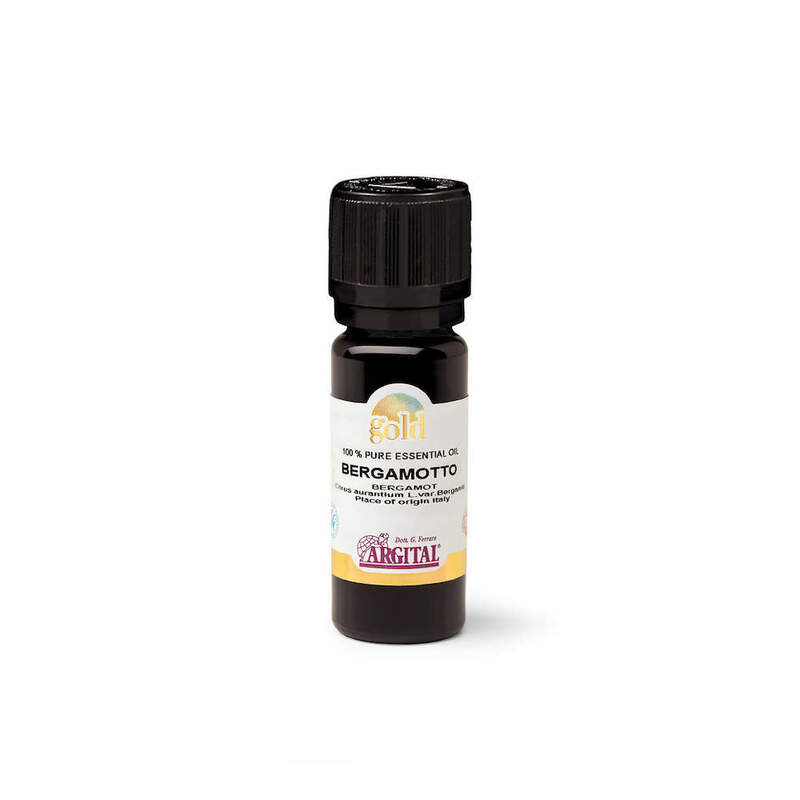 The Gold Bergamot essential oil has a more delicate, richer, more balanced and more persistent perfume. The difference between the Gold essential oils and the non-Gold essential oils is due to the Gold harmonisation process, which awakens the perfume of the whole plant in the essential oil, for example, the scent of the flower, the leaf and root. This result is obtained through the use of metals and precious stones. Gold essential oils can be used in the same way as traditional essential oils. Cleanses oily and greasy skin. Gives a sense of freshness. Gold essential oils are obtained through a method patented by Argital: the Gold harmonisation process, which through the use of metals and precious stones, awakens the perfume of the whole plant in the conventional essential oil, for example, the scent of the flower, the leaf and root. Giving a unique fragrance: more delicate, richer, more balanced. Clinical tests have demonstrated that Gold Essential Oils have a lower sensitising potency than conventional essential oils. They do not irritate the skin but protect cellular vitality. CERTIFICATIONS: BDIH – ICEA – LAV. Ingredients: Citrus bergamia peel oil expressed. DIRECTIONS FOR USE: Diluted in bath water, it promotes relaxation and gives a sense of wellbeing to the whole body. It can be used in a footbath or added to a body oil, face cream or to a Green Clay mask. A few drops in the wardrobe repels moths and insects, and leaves linen smelling fragrant. In small quantities, it can also be used as a perfume on the neck, decolette and as a body deodorant. – In a mask, add 1 to 3 drops of essential oil (per 100 ml). – In a cream, oil or milk, add 1 or 2 drops of essential oil (per 100 ml of product). CONDITIONS OF STORAGE: Store in a dry and well-ventilated area, away from heat sources. Linden Bath and Shower Gel with Green clay. For luminous, youthful skin. Beauty and harmony for the face and body, two cosmic notes of Argital’s green clay. With Green clay gel and pure Perppermint essential oil. With Green clay gel and Melissa leaf extract. Neroli has a similar scent to Bergamot. It improves the physiological state of the skin. 100 % natural. Preservative-free.